Sterling silver and Swarovski crystal golf club pendant necklace made in the USA! 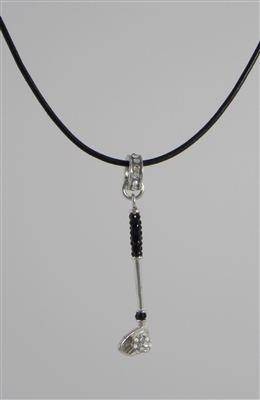 necklace length: 15" 16" 17" 18" 19" 20"
For the golf enthusiast, this is a fun and unique golf club pendant. Shown on 2mm rubber.